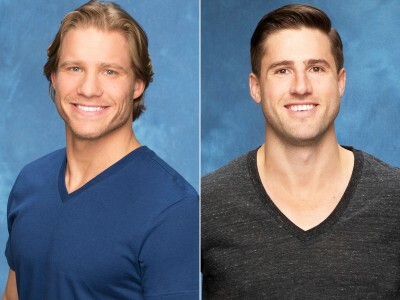 It seemed like a publicity stunt concocted by two bachelors seeking some screen time on ABC’s The Bachelorette. But could there more to the dynamic between contestants Clint and JJ than the cheesy ‘Brokeback Bachelor’ promos that hinted at romance between two men who are supposed to be vying for the affections of a bachelorette named Kaitlyn. In last week’s episode, Clint turned to the cameras and revealed why he wanted to remain on the show another week. Harrison says this week’s episode, airing Monday (8 June), will provide some more J.J. and Clint drama. Harrison realizes there has been backlash about the use of the work Brokeback in promos, a reference to the film Brokeback Mountain, a gay love story starring Heath Ledger and Jake Gyllenhaal. ‘First of all, the fact that we would allude to that I’m not sure why that would outrage people. Why is that a bad thing?’ Harrison wonders. I haven’t seen the “Bachelorette”, but this has certainly made me curious. The reason there is an outrage around the term “Brokeback Bachelor” is because there is no “Brokeback Bachelor”. You are simply using the word “Brokeback” to lure in viewers by alluding to their being a gay bachelor. Gay men like me are patiently waiting for the day that there is actually a gay bachelor for over a dozen men to choose from but for someone to make up a lie about a person being gay just to draw in attention for themselves is just sick. Anyone who takes this show seriously should do what I do; I watch for laughs….and I’m never disappointed. Happy birthday to Doris Day who turns 96 today! Tuesday Morning Man: Greg Vaughan!